Queensland Museum & Sciencentre and Chenrezig Institute are good opportunities to explore the local culture. Appreciate the collections at Queensland Art Gallery and Art on Cairncross. Explore the numerous day-trip ideas around Brisbane: Caloundra Lighthouses (in Kings Beach), Australia Zoo (in Beerwah) and Artworks in Clay by Anne Gentry-Smith (in Montville). The adventure continues: look for all kinds of wild species at Lone Pine Koala Sanctuary, take in the spiritual surroundings of Catholic Old St. Stephen's Church (chapel), admire the masterpieces at Gallery of Modern Art, and see the interesting displays at Queensland Air Museum. To see maps, other places to visit, photos, and more tourist information, you can read our Brisbane trip planner . Algiers, Algeria to Brisbane is an approximately 28-hour flight. You'll lose 9 hours traveling from Algiers to Brisbane due to the time zone difference. Traveling from Algiers in March, expect nights in Brisbane to be warmer, around 23°C, while days are somewhat warmer, around 32°C. You'll have a few hours on the 20th (Wed) to wrap things up before traveling to Gold Coast. Appreciate the collections at Tweed Regional Gallery & Margaret Olley Art Centre and Jules Hunt Studio Gallery. Cape Byron Lighthouse and Ripley's Believe It Or Not! Surfers Paradise are good opportunities to explore the local culture. Take a break from Gold Coast with a short trip to Fishing Charters & Tours in Tweed Heads, about 36 minutes away. And it doesn't end there: enjoy the sand and surf at Surfers Paradise Beach, meet the residents at Currumbin Wildlife Sanctuary, get outside with Pelican Feeding, and observe the fascinating underwater world at Sea World Theme Park. For reviews, maps, traveler tips, and other tourist information, read Gold Coast trip itinerary planning site . You can drive from Brisbane to Gold Coast in an hour. Other options are to take a bus; or take a train. 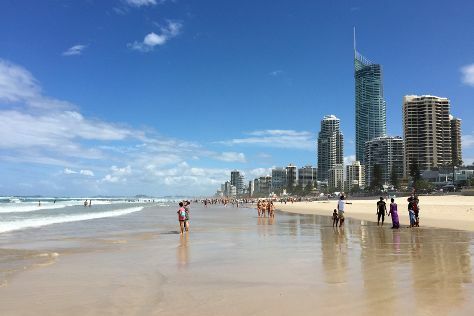 In March, daily temperatures in Gold Coast can reach 32°C, while at night they dip to 23°C. Finish up your sightseeing early on the 25th (Mon) so you can travel to Sydney. Take a break from the city and head to Bondi Beach and Wentworth Falls. Let the collections at Australian National Maritime Museum and Justice & Police Museum capture your imagination. Change things up with these side-trips from Sydney: Canyoning & Rappelling Tours (in Katoomba), Blue Mountains National Park (Pulpit Rock Lookout & Lincoln's Rock) and Featherdale Wildlife Park (in Blacktown). Next up on the itinerary: wander the streets of The Rocks, tour the pleasant surroundings at The Opera House to the Botanic Gardens Walk, admire the natural beauty at Royal Botanic Garden Sydney, and explore the world behind art at Art Gallery of New South Wales. 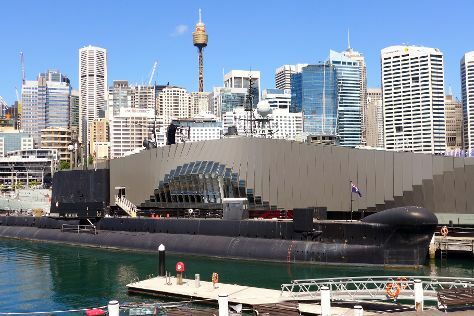 To find reviews, more things to do, other places to visit, and other tourist information, use the Sydney online attractions planner . Fly from Gold Coast to Sydney in 3.5 hours. Alternatively, you can do a combination of train and flight; or drive. In March, daily temperatures in Sydney can reach 30°C, while at night they dip to 22°C. Wrap up your sightseeing by early afternoon on the 2nd (Tue) to allow enough time to travel back home.